Newly updated and backed by decades of research, this classic guide will equip leaders and team members alike to unleash the power of teamwork. Never before in the history of the workplace has the concept of teamwork been more important to the functioning of successful organizations. 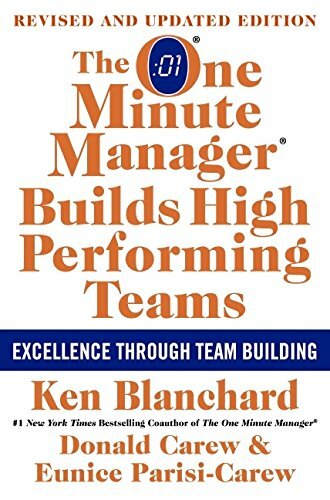 Ken Blanchard, bestselling coauthor of Raving Fans, The One Minute ManagerÂ® and Gung Ho!, teams up with Donald Carew and Eunice Parisi-Carew to explain how all groups move through four stages of development on their way to becoming high performing teamsâorientation, dissatisfaction, integration and production. The authors then show how a manager can help any group become effective quickly and with a minimum of stress. About: Newly updated and backed by decades of research, this classic guide will equip leaders and team members alike to unleash the power of teamwork.